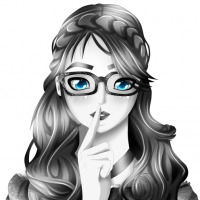 Do you have event dates that you need to make note of while browsing in Internet Explorer? 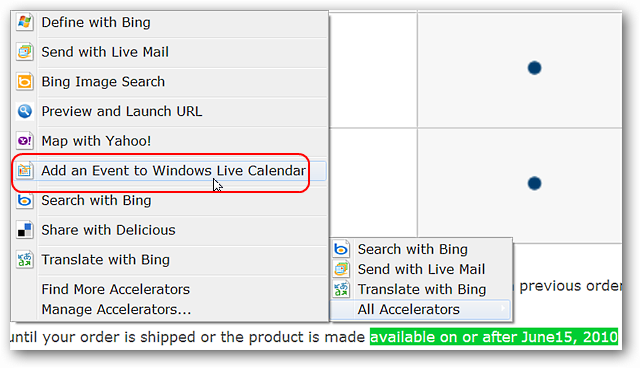 Adding those events to your Live Calendar is easy to do with the Add Events to Windows Live Calendar accelerator. To add the accelerator click on Add to Internet Explorer and then confirm the installation when the secondary window appears. 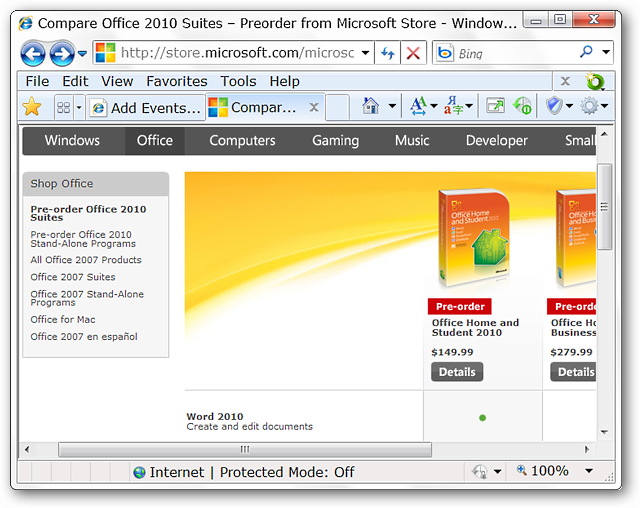 For our example we chose the “estimated” availability date of Microsoft Office 2010 to the public. At the bottom of the pre-order page we found the date we were looking for. 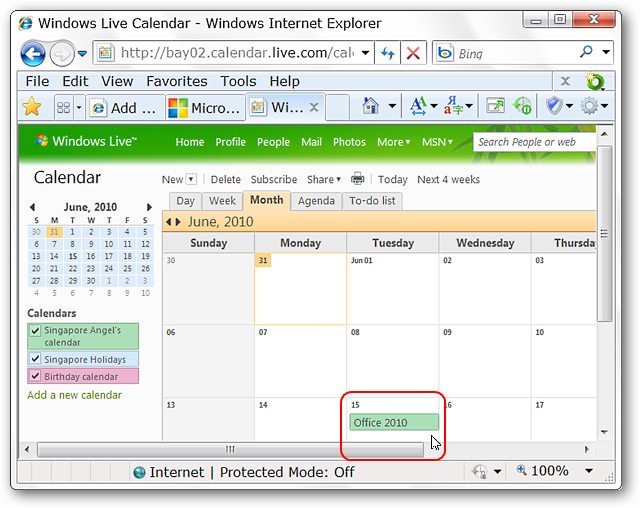 To add an event highlight the desired text (will become event description) and select the Add an Event to Windows Live Calendar listing in the context menu. A new tab will be opened where you can add any relevant details or make final tweaks to the description before saving the event. 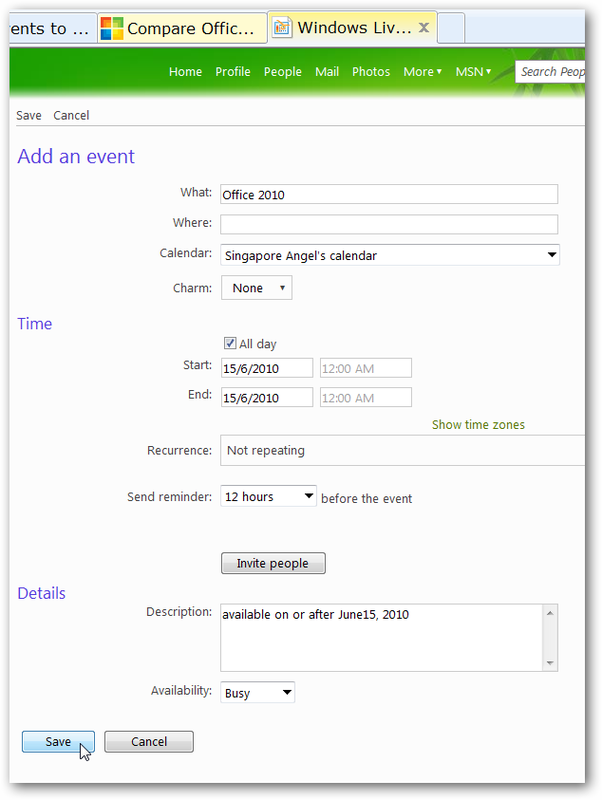 There is our new calendar event ready to send out a notification e-mail for the Office 2010 release. 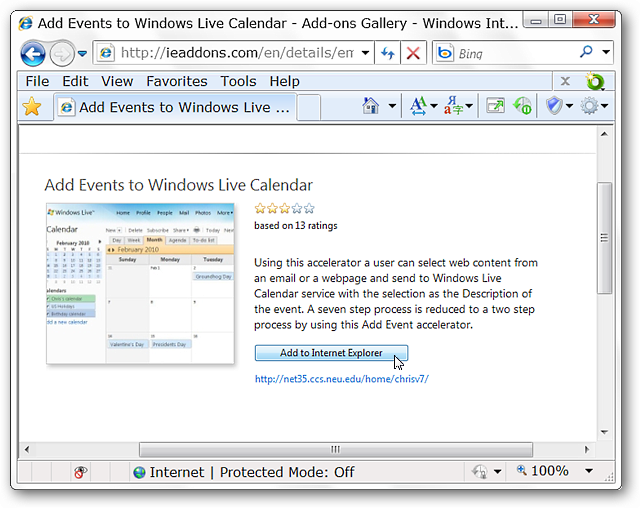 The Add Events to Windows Live Calendar accelerator speeds up the process of adding events to your calendar by getting you directly to the event form.